It wasn’t long ago that the subprime mortgage was a fictional entity on the UK lending market. In the years following the economic crisis, lenders became increasingly unwilling to consider subprime applications for home loans, secured loans, business loans and general-purpose loans. Today, things are beginning to turn around. 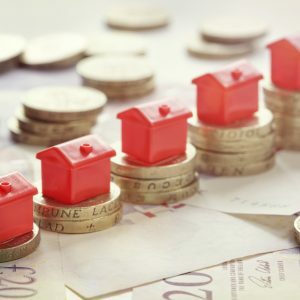 The subprime loans market in the UK is going from strength to strength, catering to the needs of millions of borrowers at all levels. But what are the kinds of circumstances that might call for a subprime mortgage? In simple terms, a subprime mortgage could be ideal when the applicant is comfortably able to repay the loan, though has an imperfect credit score. Or perhaps, no proof of income to validate their ability to repay the loan. Such candidates are considered ‘higher-risk’ than those with strong credit scores and concrete proof of income – hence the term ‘subprime’. Though subprime mortgages are often accompanied by higher interest rates and borrowing costs, this isn’t always the case. Borrowing costs are calculated in accordance with multiple factors, such as the size of the loan, the length of the repayment period and the collateral provided to secure the loans. Choose the right lender and you could access a competitive Subprime mortgage deal, irrespective of your credit history and lack of provable income. In all instances where the products and services of major lenders are inaccessible, specialist subprime lenders represent an accessible alternative. The most common reason for subprime mortgage applications is a poor credit history. These days, maintaining good credit in the face of so many threats is a bigger challenge than ever before. Even with all the care in the world, it’s hard to avoid the occasional oversight. Rather than excluding all applicants with less than perfect credit, subprime specialists consider every application by way of merit. Where credit checks are carried out, the nature and extent of the credit issues are considered. Where sufficient collateral can be provided to cover the cost of the loan, a credit check may not even be required. The more extensive the damage to a credit report, the more difficult it becomes to obtain a quality mortgage at a competitive rate of interest. But there’s always the opportunity to augment this damage with other factors – a strong financial status, plenty of assets to secure loans, strong proof of income and so on. As subprime loans and mortgages are near-extinct on the High Street, you need to focus your search beyond the usual household names. Working with an independent broker allows for a whole-of-market comparison to be carried out on your behalf. By searching in accordance with your requirements, preferences and current financial position, you’ll gain access to high-quality, low-cost loans from a panel of specialist lenders. Always remember that while an imperfect financial history can be an obstacle, it needn’t be immovable. It’s simply a case of focusing your efforts on those who are standing by to help, rather than disqualify your application before giving it fair consideration.